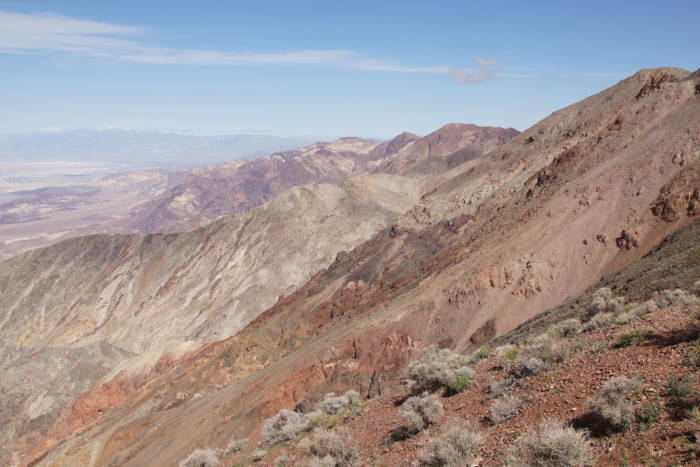 Death Valley has several outstanding viewpoints that overlook the lowest land in North America. Dante’s View provides a perspective one vertical mile above the valley floor, straight up from Badwater. Once you get there, you can hike around a bit, as well. Dante’s View is located off of Highway 190, on the east side of Death Valley National Park. Take Route 190 eastbound, past another popular overlook, Zabriskie Point. Watch for the turnoff to Dante’s View. It’s about 14 miles from Highway 190 to the viewpoint. Long vehicles are restricted on the final six miles of the road, and the final ¼ mile is very steep and curvy. I visited Dante’s View twice, during my 2016 Superbloom visit to Death Valley. On one evening, it was one of the last places on my list for the day, and rain was moving in. This gave me a dramatic, albeit cloudy view of the valley from Dante’s View. It didn’t help that the temperature was also dropping, and the wind was picking up speed. Thanks to the extra elevation, Dante’s View was quite chilly. I returned the following day to find a much different place. The skies were blue above Death Valley, and the view was great. Looking straight down at the valley floor, you also get a look at the strange patterns created by water as gravity pushes it downhill. … that leads to yet another fantastic viewpoint. 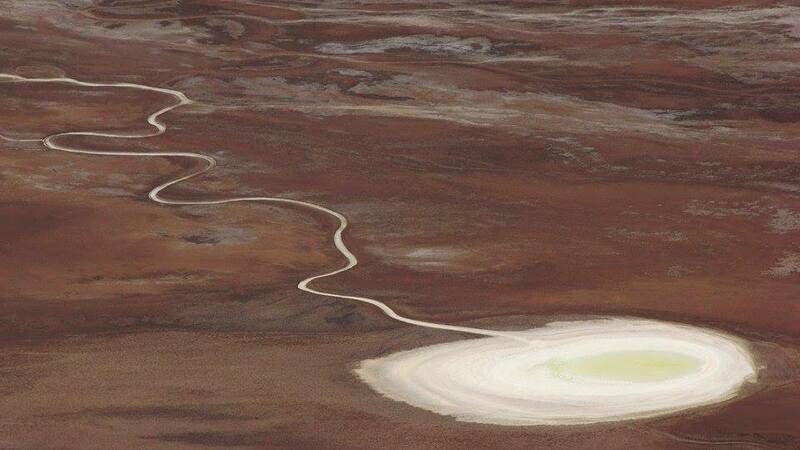 That salty white patch is Badwater, the lowest point in North America. There’s one really good perch here, but you may have to share it with everyone else, and wait your turn. Once you’re back at the parking area, be sure to check out the road that will take you back down! 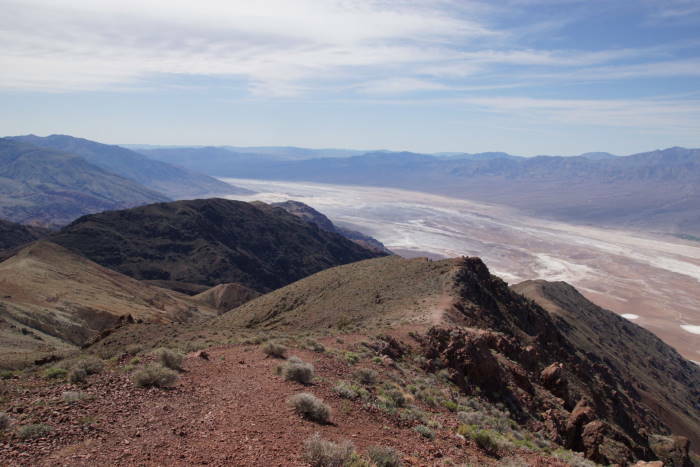 During your visit to Death Valley, find the time to make the drive up to Dante’s View. It requires a drive out of the valley, but it leads to some excellent views, and it’s well worth the time. Plus, it’s cooler up there.